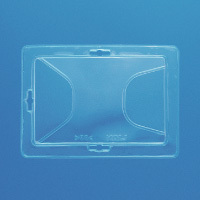 Name Badge Holder for horizontal card. Insert Size: 60 x 95mm. Top loading. Button-on hanging fastener holds the holder tightly. With biting-type clip and safety pin. Name Badge Holder for virtical card. Insert Size: 95 x 56mm. Top loading. Button-on hanging fastener holds the holder tightly. With biting-type clip and safety pin. Fastener style Name Badge Holder for horizontal card. Insert Size: 67 x 100mm. Top loading. 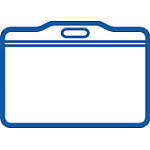 The fastener prevents sheet from accidentally dropping out. Button-on hanging fastener holds the holder tightly. With biting-type clip and safety pin. 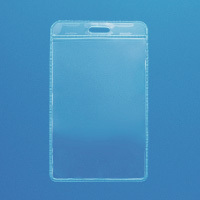 ID Card Holder for horizontal card. 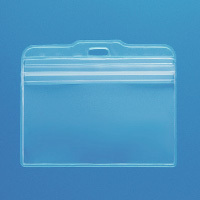 Insert Size: 54 x 86mm. Side loading. Button-on hanging fastener holds the holder tightly. With biting-type clip and safety pin. Fastener style Name Badge Holder for horizontal card. 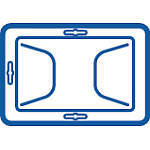 Insert Size: 67 x 100mm. Top loading. 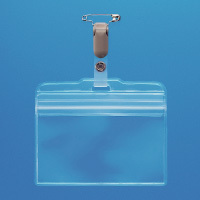 The zipper prevents sheet from accidentally dropping out. 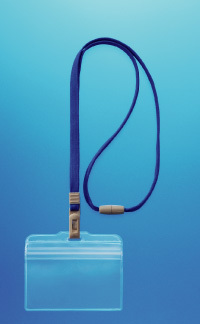 N-7P flexible 360 degree rotating clip can be applied to pocket, collar etc., preventing name badge from dangling around. 1m long lanyard made from recycled PET fiber with safety function. Plastic joint clips can be separated with a force. Red, Blue, Green, Yellow, Black and Gray. 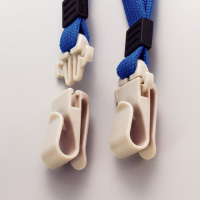 N-12P multifunction detachable hanging clip can be applied to pocket and collar without lanyard. 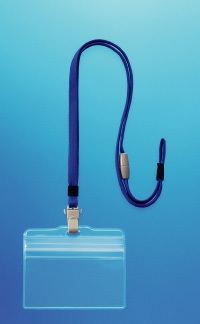 1m long lanyard can be adjusted with plastic buckles. 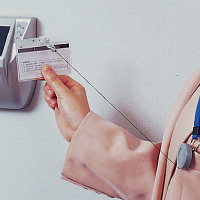 Safety function is designed to prevent users from injuries in case of lanyard getting caught on an object. Red, Blue, Green, Yellow, Black and Gray. Name Badge Holder for horizontal card. Insert Size: 60 x 95mm. Top loading. 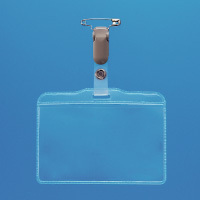 Standard Name Badge Holder for horizontal card. Insert Size: 60 x 95mm. Top loading. N-4P standard clip with 1m lanyard. 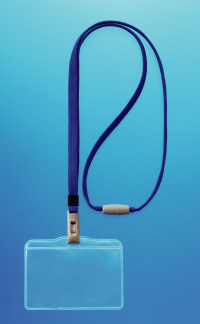 Safety function is designed to prevent users from injuries in case of lanyard getting caught on an object. Red, Blue and Black. 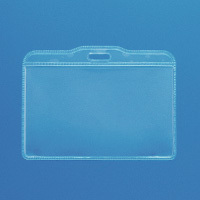 ID Card Holder for horizontal card. Insert Size: 54 x 86mm. Side loading. 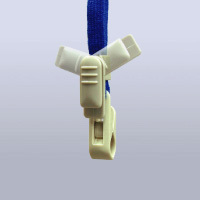 N-5P Button-on hanging fastener with elastic reel (60cm adjusting capacity.) and safety function. 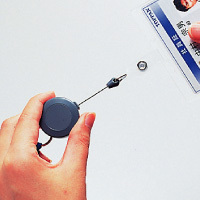 ID card is held tightly with button-on hanging function and easily attached to and removed from holder with the reel. 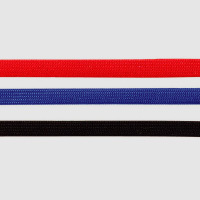 80cm lanyard available in 6 colors, Red, Blue, Green, Yellow, Black or Gray. Custom printing lanyard available with order minimum terms. 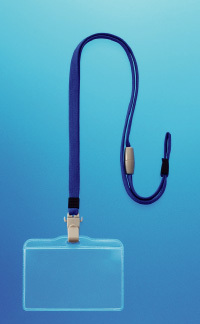 The lanyard with company's logotype is suited for building corporate identity. Multifunction strap for name badge holders. 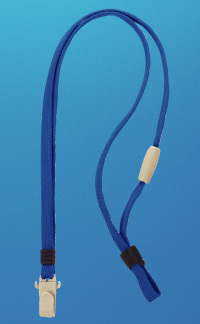 1m long lanyard can be adjusted with plastic buckles. 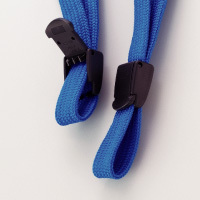 Detachable hanging clip can be applied to pocket and collar without lanyard. 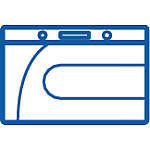 Safety function is designed to prevent users from injuries in case of lanyard getting caught on an object. 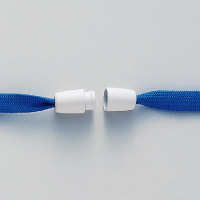 The lanyard made from recycled PET fiber. Red, Blue, Green, Yellow, Black and Gray. 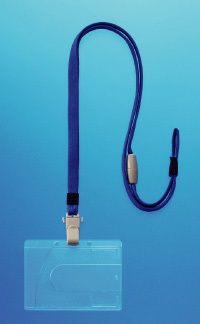 Standard strap with fastener style clip for name badge holders. 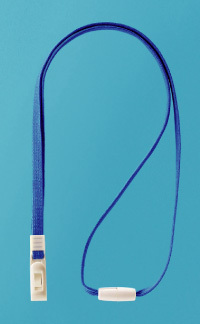 1m long lanyard made from recycled PET fiber with safety function. Plastic joint clips can be separated with a force. Red, Ble, Green, Yellow, Black and Gray. 360 degree rotating fastener style clip for name badge holders. Flexible 360 degree rotating clip can be applied to pocket, collar etc., preventing name badge from dangling around. 1m long lanyard made from recycled PET fiber with safety function. Plastic joint clips can be separated with a force. Red, Blue, Green, Yellow, Black and Gray. 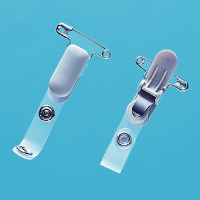 Button-on hanging fastener with biting-type clip and safety pin. For ID card and name badge holders. 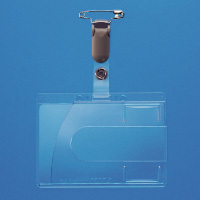 Button-on hanging fastener holds name badge and ID card holder tightly. Starp for ID card holders. Features joint clip safety function and elastic reel (60cm adjusting capacity.) 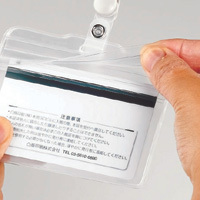 ID card is easily attached to and removed from holder. 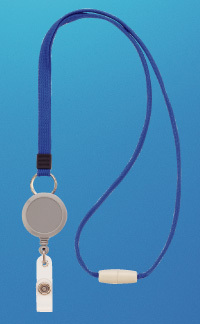 Button-on hanging fastener holds name badge and ID card holder tightly. 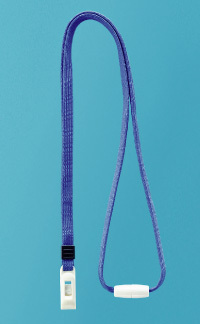 80cm lanyard made from recycled PET fiber. 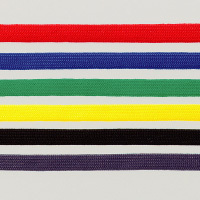 Red, Blue, Green, Yellow, Black or Gray. 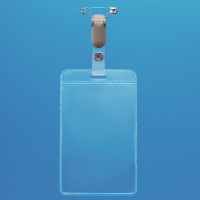 Name Badge Holder for horizontal card. Insert Size: 60 x 95mm. Top loading. Made from recycled olefin. 3 pcs./pack. Name Badge Holder for virtical card. Insert Size: 95 x 56mm. Top loading. 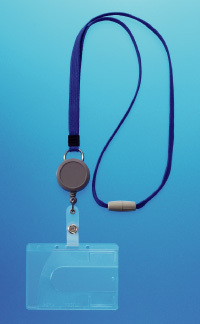 Name Badge Holder for horizontal and virtical card. Insert Size: 60 x 92mm. Side loading. Made from recycled olefin. 10 pcs./pack. Fastener style Name Badge Holder for horizontal card. 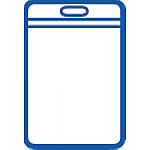 Insert Size: 67 x 100mm. Top loading. The zipper prevents card from accidentally dropping out. Made from recycled olefin. 2 pcs./pack. 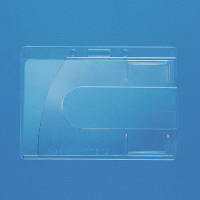 ID Card Holder for horizontal card. Insert Size: 54 x 86mm. Side loading. Made from recycled polycarbonate. 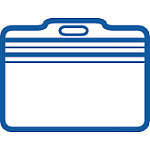 2 pcs./pack.